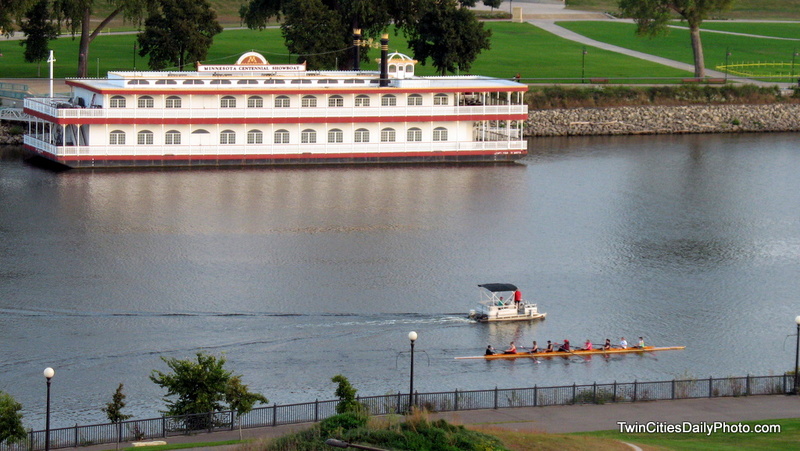 I saw the rowing team gliding along the Mississippi waters. From this distance, I believe this is a woman's rowing team. Though I'm unsure of any other information about them.